OUR forthcoming Benn Lecture on the Leveson Inquiry has stirred a storm of attacks on the NUJ for allegedly backing state regulation of the media. IT WAS inevitable that the bullyboys of the newspaper industry would campaign under a spurious banner of press freedom against any attempt by Lord Justice Leveson or politicians to clip their wings. It is a pity that the Press Gazette chose to give succour to their ‘case’ with an equally spurious poll – no more accurate or scientific than those run by The Sun, Daily Express and Daily Mail to feed prejudice and discrimination. Once it became clear the poll was a nonsense, voting was stopped – at 137 (including duplicates). Yet this miniscule ‘finger in the wind’ exercise (the NUJ claim a membership of over 30,000) has generated a storm. It set the likes of Neil ‘Wolf Man’ Wallis howling that the NUJ should ballot its members on a policy confirmed at its recent Delegate Meeting. But what is that policy and is the NUJ, or anyone else, really calling for statutory regulation? The NUJ, like most of the other critics of the failed Press Complaints Commission (PCC), want an independent complaints and redress system which will not set standards but seek to uphold those declared by the industry itself. The guarantee of both the independence and the effectiveness of the new system would be that it has been set up – like OfCom – under statute. It would be at long arm’s length from both elected politicians and unelected newspaper editors and proprietors. The latter have had it all their own way for generations, neatly sidestepping every attempt to introduce some form of accountability since the 1947 Royal Commission. 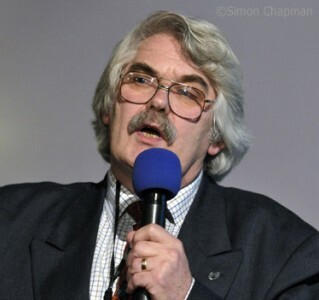 Editors like Wallis (formerly of the Sun, News of the World and the People), and others who served with him on the PCC, have consistently rejected calls from NUJ members for recognition of the union’s Code of Conduct. Yet it was first devised back in 1936 as an antidote to illiberal calls for journalists to be registered and struck off for misbehaviour. So where are these calls for state control coming from? Having spent 20 years assisting thousands of members of the public with their complaints about the print and broadcast media, I know that very, very few would seek to constrain the freedom of the press. Despite their own experiences the vast majority merely want journalists to do their job properly – which is all the media reformers want. The MediaWise view is the press freedom is a responsibility exercised by journalists on behalf of the public, not a licence for proprietors to do what they will in pursuit of profit. Their aim is to intimidate anyone who dares to challenge them. As usual the agenda setters set up paper windmills to tilt at, in a sustained attempt to draw the public gaze from the real battleground. That was rich comng from the paper that exposed the MPs’ expenses scandal (allegedly by buying a stolen CD, an illegal act for which they would undoubtedly be acquitted in the UK courts by using the ‘public interest’ defence). He appeared to have forgotten that the inquiry was launched after public revulsion at distasteful and illegal behaviour by the country’s biggest selling newspaper. As MediaWise pointed out in evidence to the inquiry, such unethical and illegal behaviour has been endemic for at least as long as the PCC existed. This is arrant nonsense of course, but it is difficult to extract the poison poured into three million ears. It’s a good example of why we cannot trust the industry to police itself. On behalf of those who have fallen foul of bad journalism, MediaWise has long argued for a more open and accountable system of self regulation, less closely tied to publishers and editors. Change ‘Parliament’ to ‘the Press’ and you have, in a nutshell, the case for a more independent and effective system of press regulation. That is all we all want. You conveniently ignore the fact that many long-serving NUJ activists and members have opposed this since we first heard of it. You do us a disservice to suggest we are either just following the media owners or in some way their bully-boys. If this statutory regulation/ regulation underpinned by statute/ statute-based regulation is so right, then the members will back it in a ballot. Why oppose giving the members a chance to vote? This is my personal view, not that of Bristol branch. Chris, no-one is saying your objections are made to follow media owners or make you a bully boy. It just so happens that your view on this coincides with the media owners who are desperate to avoid regulation. If ‘many long-serving NUJ activists and members’ oppose this why didn’t we hear much from them when the NUJ gave evidence to Leveson? And why didn’t anyone object at DM? Remember that the reason this is news now is not because principled people like you decided to speak up, but because media outlets like the Sun decided to make convenient capital out of rehashing Michelle Stanistreet’s evidence which she gave in July. I want to hear members’ views on this to see if there is real backing for a ballot. So far I’m not convinced. Paul, I raised the issue as soon as Michelle made her presentation to Leveson. That was the first I had heard of the NUJ endorsing statutory legislation to impinge on press freedom. It had never been mentioned in NUJ Active or in The Journalist. There had been zero publicity and no motion at DM. There has still been no motion at DM confirming support for a policy of statutory legislation. I suspect the union legally does not have this a policy as it has never, according to its own rules adopted it. This is news now because the NUJ issued a press release and Press Gazette ran it. I again objected, as did some others. There were a few resignations and some other threats of resignations. Only then did the Sun produce its editorial. The Telegraph followed. That was the order of events. Well yes he did, but only after others had raised the issue. Using the phrase “the likes of” is pejorative. The idea is clearly to tarnish others calling for a ballot as all being the same as him. Several good members called for consultation and a ballot. It is selective reporting of the kind I thought MediaWise opposed. How about “the likes of Chris Wheal, the tenth of ten NUJ activists in the 100-year history of the union to be sacked for his trade union work, called for a ballot”? Chris, several other members have pointed out that they thought it was obvious exactly what the NUJ was advocating because its favoured model was the Irish system, which was underpinned by regulation. That was implicit in the DM motion, and that was what members knowingly passed. You and some others objected, but not in great numbers. It was Press Gazette and the Guardian who first picked up on our press release and chose to make the legislation angle into a story, followed by the Sun, Guido Fawkes and the Telegraph. No-one’s saying you’re not entitled to your views, or that you should be compared to Neil Wallis. I just think we should be very wary of giving ammunition to the NUJ’s enemies when so far there’s little evidence that members want to change its policy (which as far as I can see has been properly approved by DM). That said, I am going to email all Bristol branch members tonight asking for their views, and we have a branch meeting next week at which this will be discussed. I hope all members who have strong views one way or the other will use the union’s many channels of democracy to make their opinions known. The likes of – like – a direct comparison. It was disparaging. It was a deliberate attempt, in an article headlined “Mediawise attacks bully boys who fear Leveson will clip their wings” to compare those of us who have reasonable and genuine views that counter those of the NUJ leadership and Mediawise, with the worst excesses of tabloid journalism. It was shameful. Talk about giving ammunition to the NUJ’s enemies – attacking long-standing NUJ members in this way is disgusting. The NUJ deserves any bad publicity it gets. Chris, I’ve just read Mike Jempson’s article again, and there’s nothing that makes me think he’s equating you with Neil Wallis. He made no attack on you or other members who share your views. But he is reminding us that to oppose the NUJ’s position on effective regulation suits the ‘bully boy’ owners perfectly. I don’t think many members share your views on a ballot. I asked Bristol branch members for their opinions yesterday, and so far I’ve not had one response.